Home » Blog » Signs and Symptoms of Bad Fuel Injectors: Is It Dirty, leaky or Clogged? What happens when an injector goes badly? The device that I find most vulnerable in a vehicle’s engine is the fuel injector. If anything happens to the injectors, your vehicle will exhibit some concerning issues. So much can happen to your engine because of faulty injectors, including violent idle, misfire, power loss, hydro-lock, failed emissions, and check engine light among other things. I have covered some of the most alarming symptoms a dirty, leaky or clogged injector would exhibit. The fuel you feed your vehicle isn’t super clean as you would imagine. Sediments from impure fuel can easily amass in the combustion chamber, fuel injectors, ports, and intake valves. Dirty injectors have a tendency of obstructing fuel from flowing smoothly. They can also result into uneven injector spray, which can lead to catastrophic events. Your engine cranks, but it does not start unless you crank it for a long time. Once running, it may run normally or stall immediately. The most obvious time to investigate the wellbeing of your vehicle is when it starts making noises it should not. If you hear any tapping noises, it is almost too late for the components concerned. This happens when the fuel charge in one or more cylinders fails to ignite. Generally, the condition results from a lack of spark. A major problem you may have with your vehicle is that when you step on the gas, it takes a second or so to pick up speed. This is one of the major problems when you have dirty injectors. Rough idle is a sign that your engine isn’t operating as efficiently as it should, which can mean higher fuel cost, and one of the major culprits is your dirty fuel injectors. When this happens, the engine is usually sluggish and provides less power than is normally expected. Your engine will seem not to increase in speed when the accelerator pedal is depressed. Not unless you are driving an electric vehicle, then you are not immune to dirty emissions, and one of the causes is dirty fuel injectors. Those above are the most popular signs of dirty fuel injectors, but one of the biggest issues is a significant drop in your fuel economy. But you should be happy to know that there are straightforward techniques for cleaning dirty fuel injectors, which helps to improve the health of your vehicle. You can diagnose dirty fuel injectors with the help of a fuel pressure gauge. A drop in fuel pressure reduces the amount of fuel delivered to the injectors, resulting into a lean fuel mixture. You can use a fuel pressure gauge to check the discharge pressure of your fuel pumps, injector pressure drop, and the regulated pressure of the fuel injection system. Apart from identifying dirty fuel injectors, this test can also identify faulty regulators, pumps, and can identify restrictions that exist in the fuel delivery system. You should never sit on leaking injectors because they’re a potential fire hazard. Not to mention the extreme damage they can impose on your engine. There are three main types of fuel injector leaks that you can experience. First, injectors can leak fuel into your engine compartment from your car’s fuel rail. Second, your injectors can leak fuel into the manifold from the nozzle. Third, the injectors can leak air from the manifold. You may not be able to fix the second leak at home. So, you may need to have the fuel injectors replaced or repaired. Hard starts as well as failure to start are often caused by fuel pressure leaking down into the fuel rail. The most common leak paths are defective valves in fuel injectors. You should always check the rail pressure when diagnosing this condition. In addition to a rich-running engine, leaking injectors can also cause your car’s engine to rough idle or run on when the ignition is turned off. Leaking fuel injector can easily result into incomplete or uneven combustion of fuel. An injector leak can also enrich the fuel/air mixture, and this may end up burning the catalytic converter. Fuel odors can hint at serious hazards. Other than being the result of spillage during refueling or a case of severe engine flooding, there should be no odor from your fuel system. A strong fuel odor may be a result of leaking injectors, broken fuel lines, leaking fuel tank, or leaking fuel pump. If the oil is thinner than it should be, causing it to pass through leaks faster than it should be, then the oil is saturated with gasoline from leaky fuel injectors. A leaky fuel injector will most certainly lead to increased fuel consumption. If the leaking is too much, fuel will be drawn into the intake air stream via the vacuum hose. Fuel can enter a cylinder when your car’s engine is off and cause it to hydro-lock. A lack of wet plugs does not essentially mean that there are no leaking injectors. A visual inspection of the injectors may be the simplest way to check for leakages. On throttle body injection systems, the fuel injectors are simple to observe, and you can easily warm your vehicle’s engine, shut it off, remove the air cleaner, and watch the injectors to observe if there is a leak. On some port injected vehicles, you can simply lift the fuel injectors as well as fuel rails out of the ports to observe for any leakages. You can also consider checking your system pressure when checking for leaking injectors. If your system’s pressure drops nonstop after the engine is off, a leaking fuel injector could be the cause. On some vehicle systems, you can easily measure the pressure of the fuel system by attaching your fuel injection pressure gauge to the service valve port (that resembles a tire Schrader valve). You need to take some precautions when attaching the gauge. Wrap a rag around the pressure gauge connector in order to catch any pressurized fuel that spurts out. The injectors are the ones responsible for delivering fuel into the engine of your vehicle. Basically, the main cause of clogging should be the fuel that is delivered into the engine. The fuel (gasoline or diesel) that you feed your car on a daily basis is not entirely pure. This is particularly true when you buy cheap fuel. You might be wondering how fuel is capable of clogging your injectors. The fuel you buy contains a high concentration of hydrocarbons, which produce higher energy. However, what is left behind is a buildup of deposits in the pintles of your injectors. Usually, the fuel is heated and evaporated by the heat from the engine, leaving behind a buildup of deposits in the injectors. Other potential causes of clogged injectors are rust and corrosion. This happens when you use less or ineffective fuel detergents. Detergents are added to gasoline to prevent buildups, but heavy traffic can cause deposits to form quicker than the detergents can remove. This happens when you suddenly realize you have lost a significant amount of engine power, and your car engine begins to run really rough. Fuel injectors are supposed to supply fuel smoothly to your engine without struggle. If they are in the capable of doing so because of clogging, the likely outcome is an engine misfire. 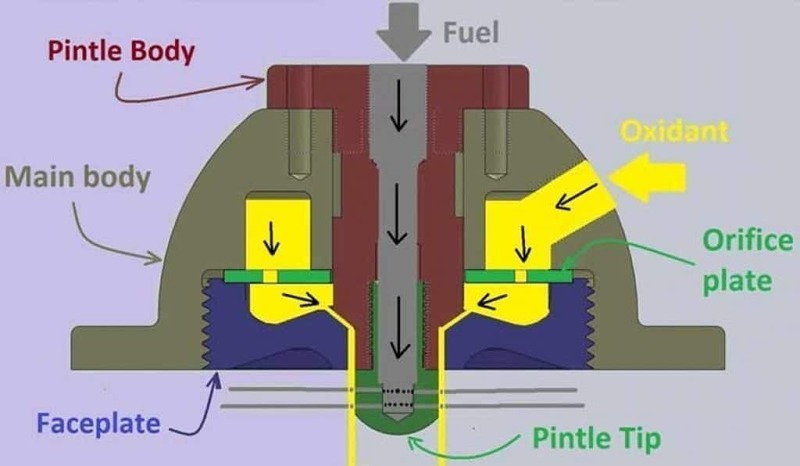 If the buildup of carbon as well as other deposits is too much on the injector pintle, rough idle is normally a common indication. Even though, rough idle is associated with all injector problems. A trouble code is indicated as a series of flashes by the check engine light. If this happens, the fuel injectors in your vehicle are possibly clogged, preventing enough fuel from reaching the engine. Clogged fuel injectors are the primary cause of discrepancies in levels of fuel detergent. Clogged injectors result into altered spray patterns, which cause reduced gas mileage and reduced fuel economy. Diagnosing or inspecting clogged fuel injectors may not be entirely easy. This is so since they behave the same way as electrical problems, such as a dead spark plug or a bad coil. The simplest technique that you can use to diagnose a clogged injector is the mechanic stethoscope (it looks almost similar to what you already know, but this one has a pointed tip). Using the stethoscope is easy. Just start your vehicle to keep the engine running, then use the device to listen to the closing and opening rhythm of your fuel injectors. Basically, they should sound the same if they are all functioning properly. A clogged or bad injector is one that sounds different from the rest. There are instances when an injector or two may fail to make any kind of noise. In such a case, you will have to check if the injector (s) are conductive. Turn off your car engine and then unplug the electrical harness connector of the injector and attach a test light to the harness connector. For this test, you may have to buy a noid light (test light), which is usually sold separately for testing or checking fuel injectors. When you crank your car engine, the test light should flash on/off. If this doesn’t happen, then the injector is clogged or severely corroded. Resealing the fuel injectors on this one. They sure look good! To bad can’t see them after they are installed!! As I mentioned earlier, the main cause of injector clogging is the fuel you use. So, make sure you do not purchase cheap fuel blends. Also, try to avoid poor performing fuel additives. If you must use fuel additives, then polyetheramine is the best choice. Such additives are known to give satisfying results as far as removal and prevention of deposits is concerned. The primary causes of faulty valves that cannot open or close are corrosion, clogging, faulty spring, or defective winding. Not to mention the use of fuel additives. You can easily detect faulty valves with the use of the mechanic stethoscope. Use the stethoscope as explained above. Those above are the most common fuel injector symptoms that you should be acquainted with, but it is not always that simple to know exactly what is going on. You may probably think that knowing the various fuel injector problems symptoms is enough for you to be able to clean or replace your injectors, but that’s not entirely correct. You must also be able to diagnose other parts of your car engine and fuel system, including the intake valves & ports, plenum & air intake, and the throttle body. The idea is to improve fuel economy, and that cannot be achieved with dirty, leaky or clogged injectors. A well-cleaned injection system will most certainly increase mileage, improve fuel economy as well as reduce exhaust emissions and pollution of the environment. With a clean fuel injection system, you will be able to achieve optimum drivability. The engine performance will definitely improve. A proper functioning engine will run better, more efficient, and longer. Generally, you will be a happy driver, and there is no one time you will have to be worried about a misfire and the like.